When I moved to Atlanta a few years ago, I decided to level-up my skills by enrolling in a coding school. To test what was learned, instructors suggested that students in my cohort consider signing up for a hackathon. This introduced me to a concept I had heard of before, but had not given much thought to — hacking. That experience thrust me into Atlanta’s rising entrepreneurial and tech ecosystem, and changed the trajectory of my career. The first hackathon I ever participated in was Goodie Hack — a hackathon designed to solve problems for underserved communities. Teams were challenged to come up with tech-based solutions to address issues for local non-profit organizations. Another hackathon I’ve participated in is 48 in 48, a two-day event where designers and developers build websites for nonprofits in need of a website or online presence makeover to further their missions. You want to give back or do something different, but have limited time. Hackathons tend to take place over the weekend, so if you work a 9-to-5 or are consumed with freelance work during the week, a weekend hackathon can allow you to break your normal routine and get back to business on Monday. You want to build something. 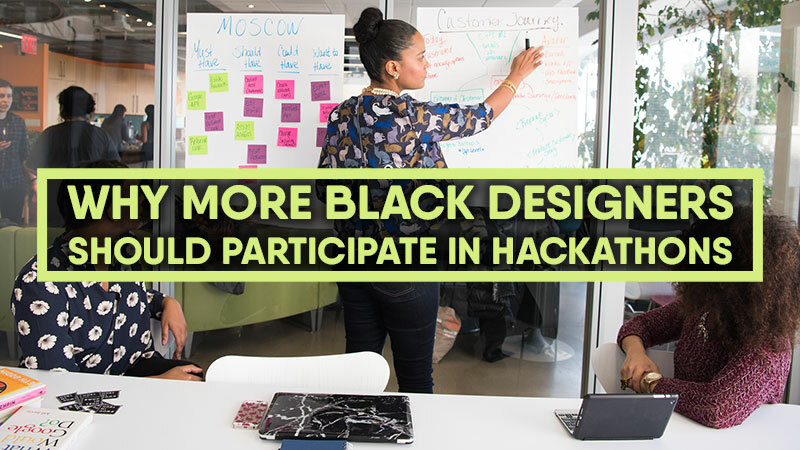 During the hackathon experience, you may come up with ideas for a new product or service. Depending on the amount of time you have available, you may be able to build a working prototype. It doesn’t have to stop there. There have been start-up teams that have emerged after meeting initially at a hackathons, such as the founders of Playbook 7th Edition or Staffluent. You are in search of a co-founder, developer, or business partner. People that attend hackathons come from all walks of life. Whether or not your team wins the competition, these events present opportunities to meet and learn from others who may be invaluable assets to each other. Well-rounded teams need people that have various skill sets, not just technical ones. Your team could potentially become a company after the event, so having members with aptitudes in business, strategy, marketing, and technology is a huge benefit. You want to grow your skills. One of the great things about working on a side-project is that it provides an outlet to focus on something else besides the work you normally do on your day job. Take the opportunity to partner with a developer, strategist, project manager, or anyone with different skills who might be able to show you a thing or two. Hackathon environments thrive on collaboration. Hackathons can really be a lot of fun! Stretch your imagination. Meet new people. Many hackathons also have free food and beverages. There is a certain thrill that comes from getting your hands dirty with a team, grinding out ideas, and seeing your efforts come together into an actual product that can make a real difference. The hackathon experience is what you make it. Most of the ideas generated by hackathon teams will need the expertise of a designer. The number of branded products and services produced by minority-owned firms with a polished design aesthetic leaves much to be desired. By bringing more black designers to the table in the development of ideas related to black communities, there is a greater opportunity to elevate the overall black design aesthetic. Black buying power is at an all-time high. It’s about time that our products reflected that power. Hackathons are all about bringing minds together to come up with ideas which will hopefully be put into action. They can center around any type of problem needing a solution — civic issues, access to transportation, food scarcity, criminal justice, education, and countless others. City governments, colleges and universities, business incubators and other organizations are increasingly seeing the value in bringing the best and brightest together to come up with innovative solutions to help them do their work better. As designers and visual problem solvers who regularly ideate, research, design, develop, and present, hacking is a part of what we do. To learn more about hackathons in your area, check out the following resources.